Whiplash is a condition that causes neck pain and other troublesome symptoms. The problem can be the result of an auto accident, but other events can also cause the condition. At Oakview Chiropractic Center in Omaha, NE, we offer care for whiplash injuries to reduce pain and improve spinal function. What Is Whiplash and How Does It Occur? Whiplash is described as an injury to the neck and upper spine that is caused by the rapid forward and backward motion that can occur during an automobile impact or other actions that cause sudden impacts. Contact sports like football, violence or falls can also cause these injuries. Individuals may experience neck pain, stiffness, discomfort on turning the head, headaches, shoulder pain or numbness in the arms. Some people may have vision problems, ringing in the ears, irritability, sleep problems or depression. After an impact, individuals may not realize they have received an injury to the upper spine or soft tissues that support the neck. However, symptoms can develop after a period and can worsen, making normal actions of the head and neck more difficult. Your Omaha chiropractor can do a thorough assessment of the condition of your spine after an injury and can design a care plan that is appropriate for your needs. 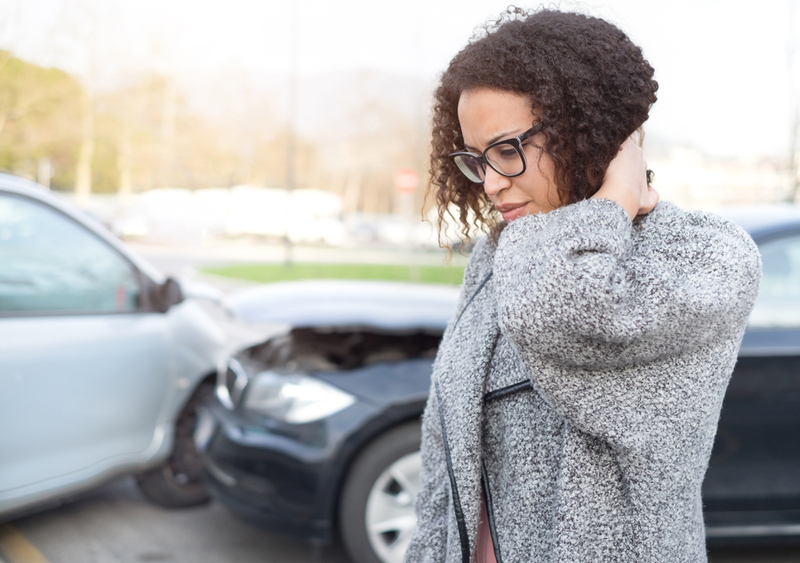 Your chiropractor in Omaha can provide care to help heal soft tissue injuries involved in whiplash and re-align spinal structures that may have been affected. Manual adjustment of the cervical spine helps to return vertebrae to their proper position, relieving pressure on muscles and nerves. Corrective exercises strengthen affected muscles for better support of the head. Massage therapy increases circulation to affected tissues, improving the body’s ability to bring nutrients and natural pain-relieving chemicals to the neck and upper spine. In addition, the chiropractor can advise you on nutritional support to help healing and ergonomic measures that will prevent re-injury of delicate neck structures. Dr. Steven Shockley uses his extensive knowledge of chiropractic care to create individualized plans for his patients in Omaha, NE, and surrounding areas. We treat a variety of conditions and can help with pain and dysfunction from both injuries and medical conditions. Call Oakview Chiropractic Center today at (402) 334-0840 for an appointment to learn about options for treatment for whiplash injuries.